Since the release of Sendible’s Analytics Dashboard last month, we have been overwhelmed with all the positive feedback and feature requests. We have taken your feedback on board and we’re excited to announce the launch of a few updates that make the Sendible Social Media Dashboard even more powerful. If you’re not currently a Sendible user, you can try our social media reporting dashboard by signing up for a free 30 day trial. 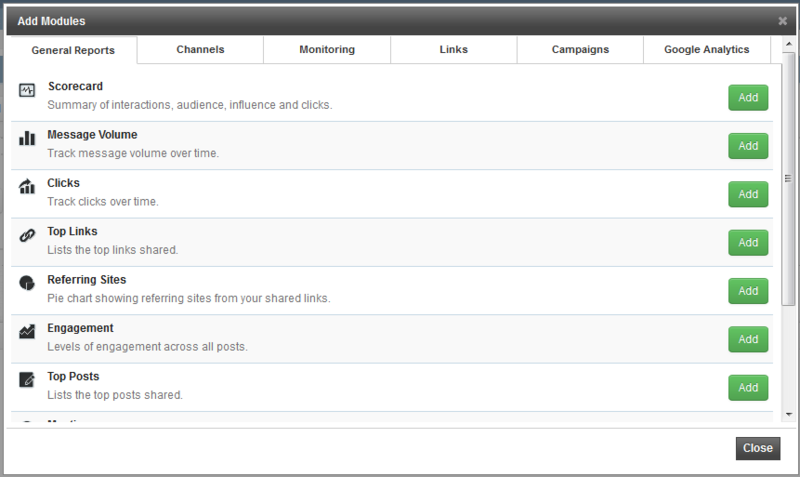 Now, you can share a link with your clients so that they can access a live report from within their browser. The same link will show the most recent date based on the date range/period you select. You can now add subheadings to your reports using the new “Section Title” module found in the module selection dialog under “General Reports”. You can now add your own, editable text area/modules into reports. This allows you to enter your own text or HTML within the report. You can add this module under “General Reports” > “Section Title”. We have now added Yelp as a reporting channel. 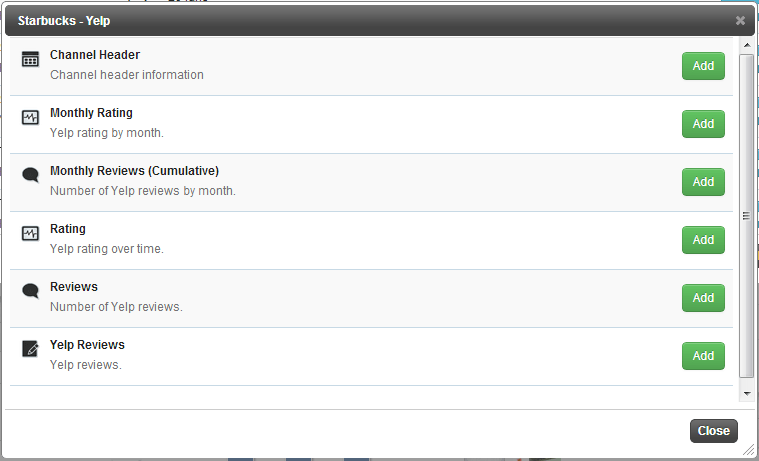 Now you can keep track of your monthly review count, your business rating and report on actual customer reviews. Monthly Posts – The total number of posts published to the page by month. Monthly Tweets (Cumulative) – The total number of tweets posted by month. Monthly Page Likes (Cumulative) – The total number of page likes (fans) by month. Monthly Engaged Users – The total number of engaged users by month. Monthly Page Views – The total number of page views by month. 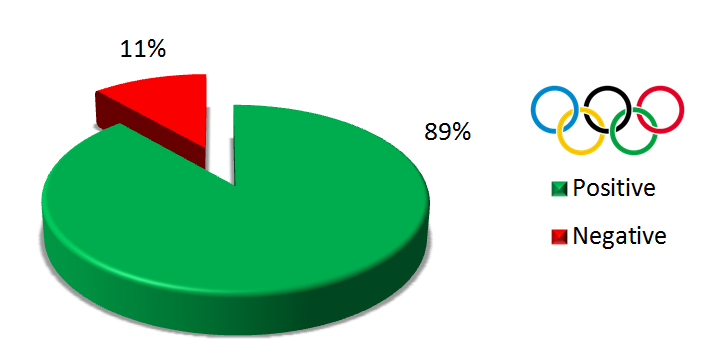 Monthly Page Impressions – The total number of page impressions by month. 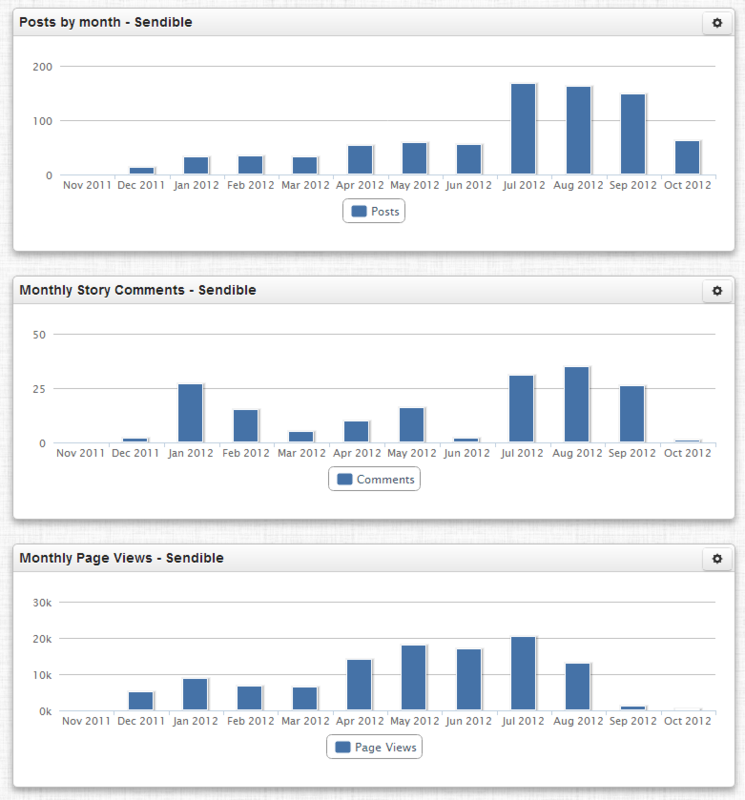 Monthly Story Comments – The total number of comments across all stories by month. Monthly Story Likes – The total number of likes across all stories by month. 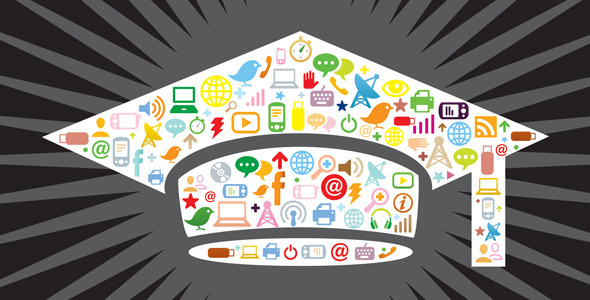 Facebook Page Summary – A summary of posts, likes, fans and comments. We have been working hard the last few months at Sendible, developing the most advanced social media analytics dashboard on the market today. We are excited to announce that this has just been released to all our Sendible.com users! Our white label customers will receive this update in the next 2 days. See a walkthrough of our new reporting features at our next webinar. Register here. 1. Go to the My Reports tab. 3. If it’s the first time, you’ll be presented with the option to pick a layout. 4.Select a suitable layout for your report by clicking on a thumbnail. 5. You’ll then be prompted to give your report a name, title and to select your default report period. 6. Click “Next >” and you’ll be prompted to add modules to your report. 7. We have over 100 different report modules that you can add. 8. 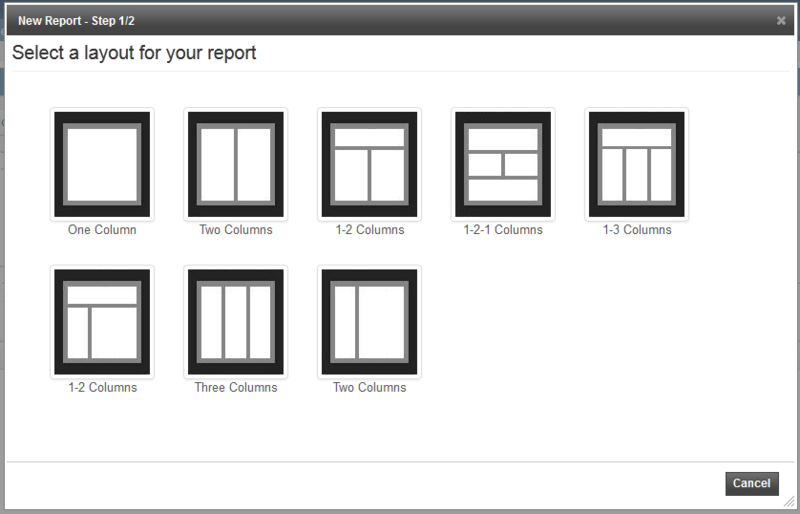 All modules can be dragged and dropped within your report layout. 9. To receive reports via email, use the Email button to schedule regular reporting emails, monthly, fortnightly or weekly. 10. 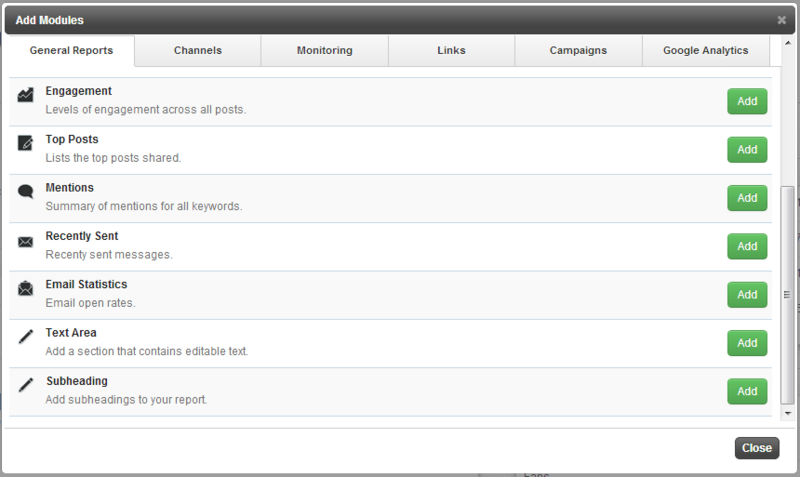 To add more modules to your report, simply use the Add Modules button at the top of your reporting dashboard.